Room size: Irregularly shaped 9.5 x 10m open floor plan combines the living/listening room, kitchen and office. Added to this space the speakers see the air volume of the entry hall and a long corridor plus the 2nd-storey 6 x 9.5m loft. Wood-panel ceiling slopes up to the loft. Parquet flooring. Lots of non-parallel surfaces ('vertical gable' windows, twin-angle ceiling, spiral staircase enclosure, fireplace enclosure). For a pictorial tour, see here. 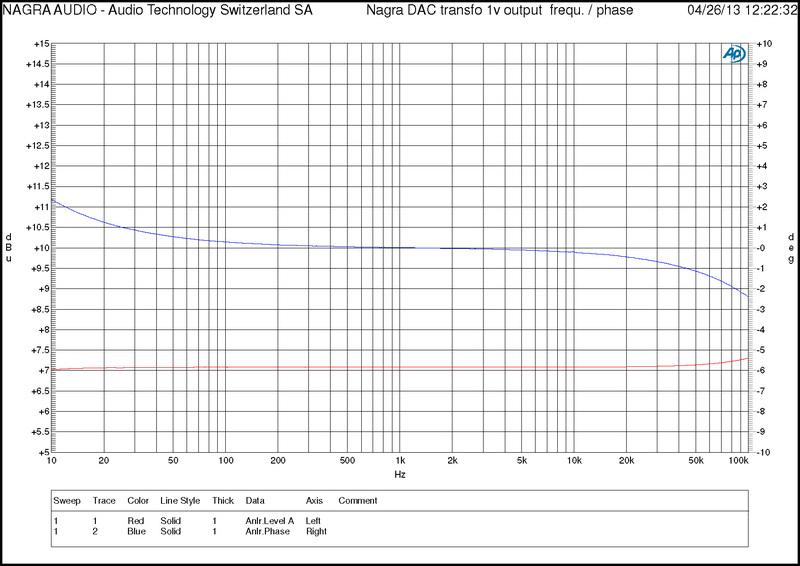 The ultimate DAC would arguably need a dual-core engine: true 1-bit for DSD, discrete R2R for PCM. Nagra's HD DAC—something even more ambitious was in R&D to explore viability of a dual-core circuit—neared completion by the close of 2013. The team in Romanel-sur-Lausanne was working hard to wrap the project. This spanned from conceptual to mechanical, from multi-layer PCB layout to advanced power supplies, from analog and digital circuits to control logic, display coding, firmware authoring and more. This spin-off from Nagra's secret extreme converter research project was previewed as prototype at Munich HighEnd 2013 but then still in a temporary box. Final production would adopt classic compact Nagra livery. Even though that builds out real estate by going considerably deeper than my Jazz preamp, it still sprouts two outboard power supplies for digital and analog respectively. That's because the trademark ¾ width low-rider casing is otherwise too crammed with signal-path circuitry, interstage and balanced output transformers plus two very large custom coupling capacitors and a valve to leave room for anything else. 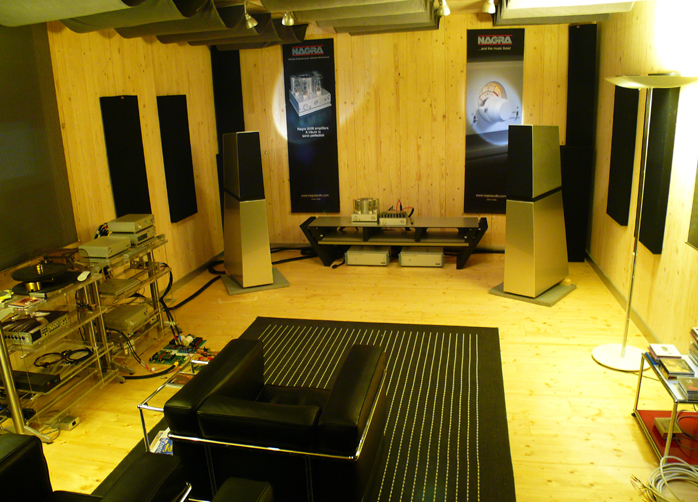 Nagra audition room with Verity Audio Lohengrin II speakers. Fully DSD64/128 and 24/384kHz PCM compliant, the HD DAC is based on a small core module from Andreas Koch of Playback Designs as probably hifi's ultimate authority on DSD. From him Nagra commissioned a custom ceramic board. The heart of its circuit is a Xilinx FPGA coded to operate as a true 1-bit DAC since commercial true 1-bit chips no longer exist. 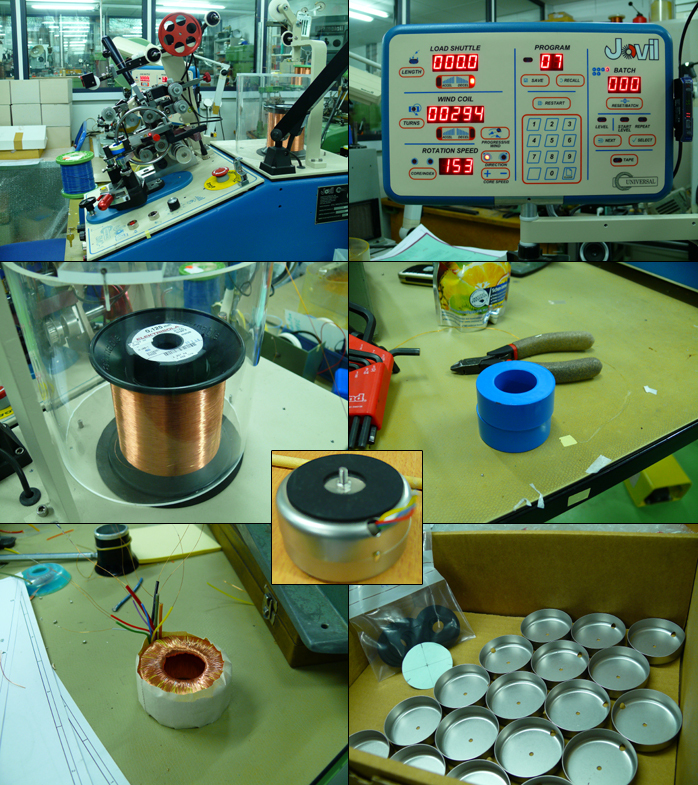 "The sampling frequency reaches 5.6MHz and the internal calculations use 72-bit precision. This method produces a signal with such quality that the steep-slope input filters on the analog section can be eliminated. The result is that the harmonics and transients are perfectly maintained, allowing the music to conserve its natural depth and essence." 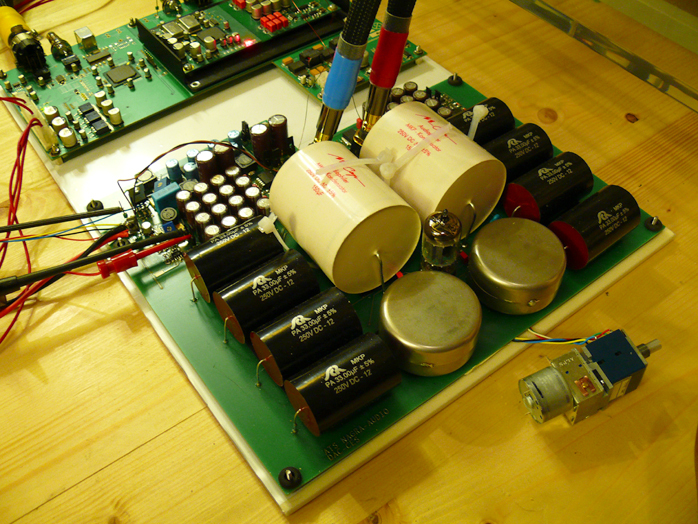 Bread-boarded HD DAC prototype circuit during my April 2013 visit to Nagra. The board in the foreground shows an early version of the Koch module. 'Jumper central' was installed for easy listening comparisons of various circuit and parts options during prototyping. Everything pre/post the custom Koch board is Nagra's own They tap directly into Koch's analog reconstruction filter to follow up with their own ultra-precision chip-based impedance converters and drivers for each half of the symmetrical output. This direct-coupled stage applies neither voltage gain nor feedback but operates at a truly colossal slew rate. Next come ultra-complex Teflon-layered mu-metal enclosed interstage transformers with very thin primary wire and even thinner secondaries. They load the Koch module at a very specific impedance which the listening team arrived at by careful auditions. These ITs sport extended bandwidth and linear phase response. After 12 prototypes which took Nagra's in-house expert half a day each to wind, engineering finally signed off on this challenging magnetic part with the bright blue metallic glass core. These mono ITs generate passive voltage gain—+7/+11dB for 1V/2.5V outputs—further impedance conversion and signal summing since the Koch module output is symmetrical but Nagra's circuit deliberately single-ended. 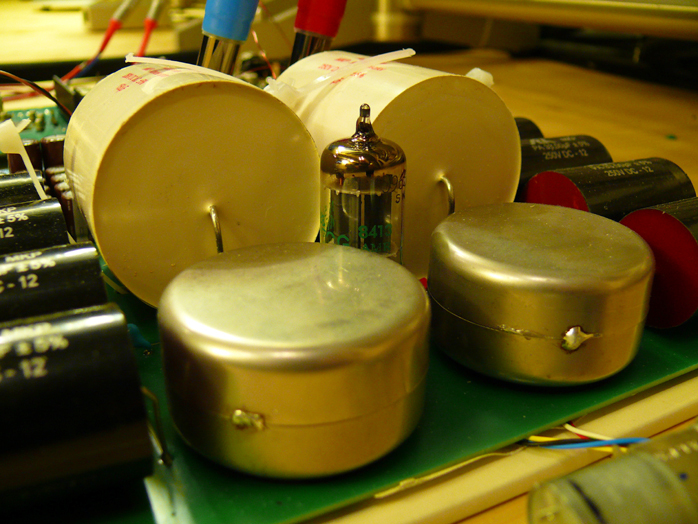 The ITs then see an auto-bias single mil-spec ECC82-related inverted triode buffer. This US JAN valve at the time was built with special treatment on its larger plate and offered lower microphonics, higher spec consistency and longer life expectancy over its common ECC82 equivalents. This cathode-coupled tube stage has negative voltage gain, zero feedback but off-the-charts bandwidth. Its noise performance is superior to even the ~130dB SNR of Koch's module. During my two visits the final coupling caps were giant silver/gold Mundorf issue because Nagra were still waiting on their very own custom caps. 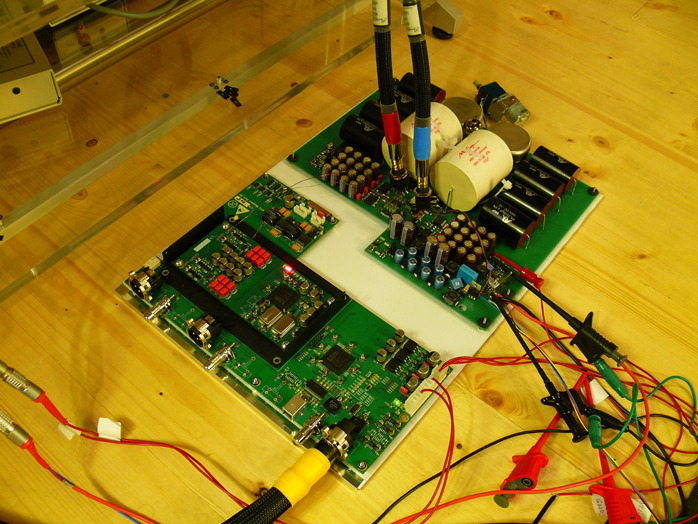 4-in-1 MPS power supply (three AC supplies, one DC feed, green LEDs still pre-production). 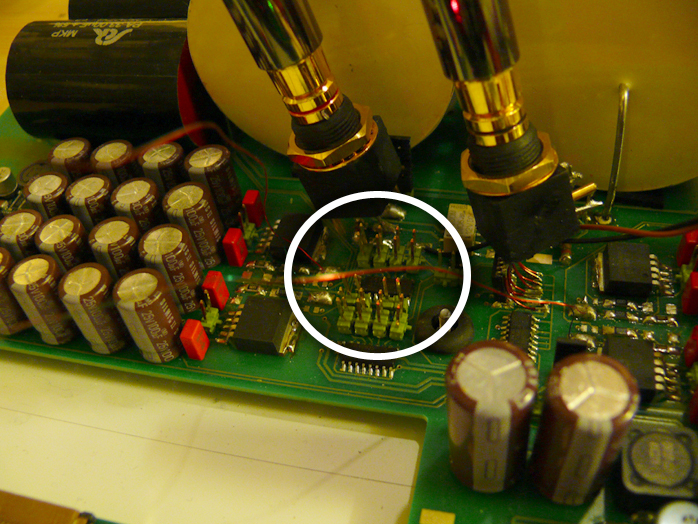 For Nagra whose chief PCB layout architect has worked in sixteen layers for a previous military contract employer, these DAC boards are very basic 4-layer affairs (two for signal, two for power supplies). Digital and analog grounds operate at deliberately different potentials. There are 25 dedicated power supplies with stout Elna Silmic 2 capacitive storage and 32 decoupling capacitors. Two of the power supplies are for high-speed USB alone to bypass buss power. The MPS in bits'n'bobs. The open case here still lacks the transformer, battery and battery logic board. The final production fascia shows the smaller now yellow LEDs marketing manager Matthieu Latour insisted on. There are separate miniature isolation transformers for each of the two AES/EBU and two coaxial digital inputs plus three more for the 1GHz Ethernet-formatted I²S input. There's also a discrete headphone circuit, optional transformer-coupled fixed true balanced outputs, remote-controlled analog volume for the RCA outputs and a menu-driven display for custom options like digital filter and fixed volume settings. 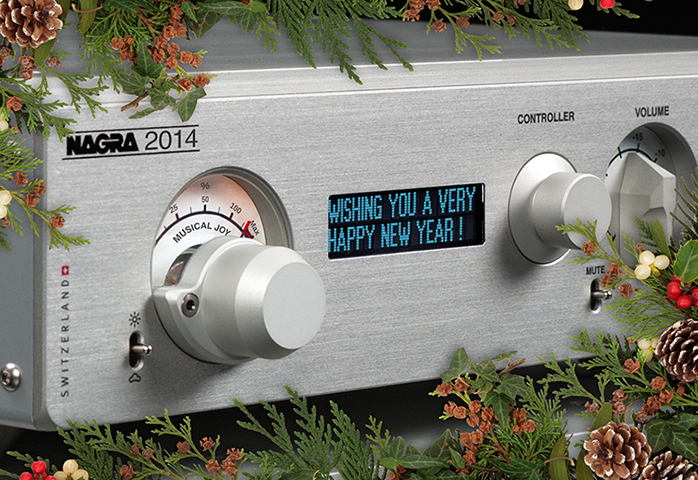 Owners of multiple Nagra components can use the new MPS shown above. This eliminates running multiples of the compact stock power supplies shown below and centralizes Nagra power. Out of its four feeds the MPS runs one on pure battery power. The MPS can thus drive the HD DAC, Jazz or Melody preamp and a Nagra phono stage whilst only taking up a single wall or conditioner power outlet. 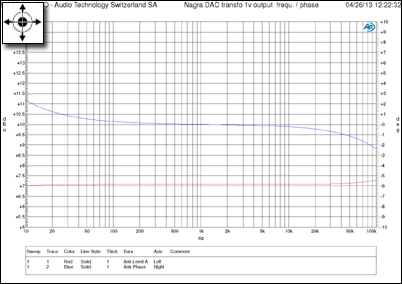 The type of stock Nagra PSU of which the DAC has two (one for digital, one for analog). 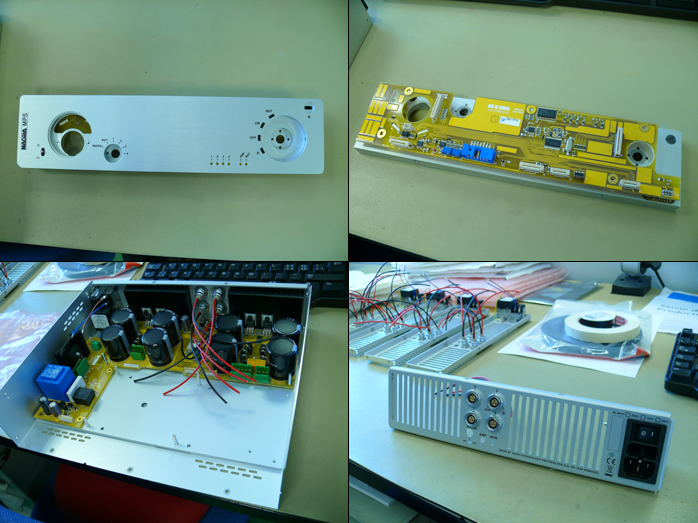 To better appreciate the gestation of any Nagra product, we'll now take a look at the team responsible for the HD DAC. 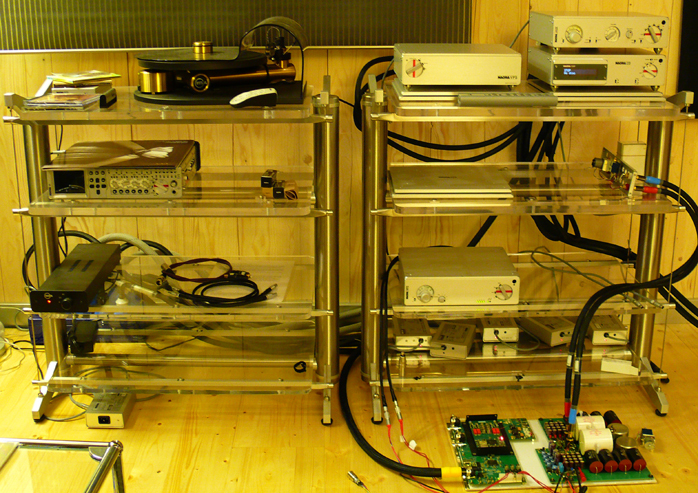 Otherwise empty prototype case at Munich HighEnd 2013 - in production one of the coaxial S/PDIF inputs became BNC.